Has sewage found a way to backup in your property? Do not fret! 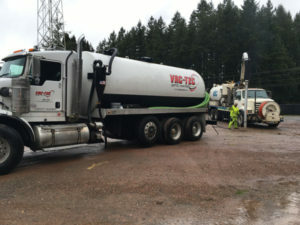 For your emergency septic repair needs in Renton, WA, VAC-TEC LLC is the name to remember. With 24-hour availability, we can restore your safety and convenience in no time at all. We offer emergency septic repair for kinds of systems, large or small, commercial or residential. Safety is our number one concern. That is why we are available to meet your emergency septic repair needs even on nights and weekends. 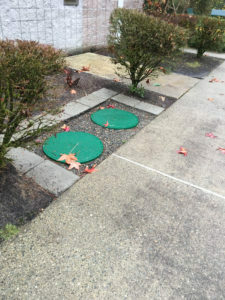 By using sophisticated technology and techniques, we can fix septic tanks right, the first time around. When you choose us for your emergency septic repair needs in Renton, you choose a peace of mind that you are getting the best possible service at the best possible prices. Need a fast septic tank pumping? Clogged, overflowing septic tank can cause a wide range of problems, so give our emergency septic pumping & cleaning experts a call. We specialize in providing 24-hour emergency septic pumping & cleaning services in Renton and the surrounding areas. So, if you are facing a sudden septic tank emergency, we are the company to call for a fast, affordable emergency septic pumping & cleaning. We use camera inspection, hydro jetting and vacuum trucks to pump and clean septic tanks. Septic emergencies, unfortunately, do not happen during when the time is most convenient for you. For this reason, we are available round the clock, providing emergency septic pumping & cleaning services in Renton and the nearby areas. If your septic system needs professional attention, we are the go-to company for a high quality service at a competitive price. We have years of experience working with municipal, commercial and residential clients to handle their emergency septic pumping & cleaning needs. After carefully listening to your needs and concerns, we develop the right septic pumping and cleaning plan for your specific requirements. We can also offer a septic care and maintenance service to help you avoid the need for emergency septic pumping & cleaning. For more information on our septic repair and pumping services in Renton and the nearby communities, call VAC-TEC LLC at (206) 339-0039 today.